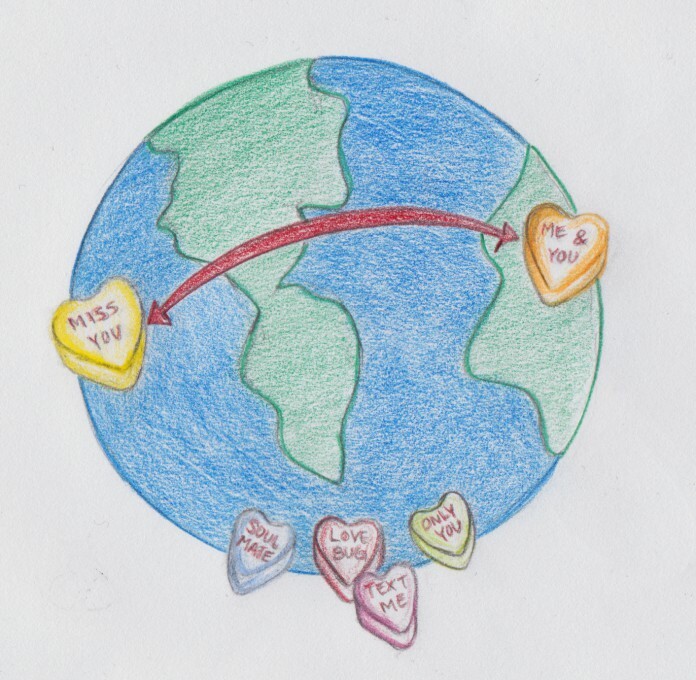 When my editor pitched the idea of writing an article on the value of long distance relationships in honor of the upcoming Valentine’s Day holiday, I jumped at the opportunity. Not only because I am female, and therefore have an inherent appreciation for any holiday which calls for gifts in the form of lingerie and jewelry, but also because I have spent the last six months in a long distance relationship of my own. They say absence makes the heart grow fonder. As a self-proclaimed “expert” on long distance relationships, I can attest to this statement. My boyfriend lives 855 miles away-in other words, 855 miles too far. But despite the separation we must endure, there is no one I would rather spend my time calling, texting, Skyping, etc. And let me tell you, it’s not easy. Some say physical separation fosters emotional separation. But my experience in the past six months has proven that this is not the case. Are long distance relationships worth it? Absolutely. So what is the key to making it work? There are several things to keep in mind. First, trust is essential. If you’re constantly freaking out about your lover getting cozy with someone else, then something isn’t working. Communication is key. I make sure to keep my significant other up to date, even on the most boring of days-just to let him in on my life. And third, you need to maintain a sense of balance between your relationship and your social life. I still make plenty of time to go to the gym, attend my classes, and go out with friends on the weekends, but at the end of the day, what I am really looking forward to is going home, bundling up in my covers and making that long awaited goodnight phone call. Many of my friends don’t understand why I put up with it. But as anyone else in a faithful, committed long distance relationship knows, it doesn’t exactly work like that. I have spent the past year and a half in IV and have met my fair share of men here. And surprise, surprise-no one here even comes close to what I have 855 miles away. The time away is stressful, sometimes overbearing. But when you finally see that person again-after weeks of missing them, talking to them on the phone every night, texting them all day-there is no better feeling than being in their arms once again. Trust me. So basically what I have to say is this: maybe long distance relationships aren’t for you. Maybe you need that physical chemistry to make your relationship work. But if you know in your heart that this person is the only one you want to be with, regardless of the distance, I say go for it. Long distance relationships are insightful for many; they teach you about the importance of trust, and they tend to make you be ten times more appreciative of your significant other than you would be if you were surrounded by them 24/7. At least, that’s how it is in my case. My boyfriend is my best friend. And when I’m having a rough day at school, he is still always there to answer the phone and help me through it. I know that sounds corny, but it’s the truth. That pretty much sums up what I have to say about the most romantic time of year. For those who didn’t understand long distance before, hopefully this clears a few things up. The man of my dreams may be in a different state and a different time zone, but he has all my heart. And I wouldn’t do it any other way.